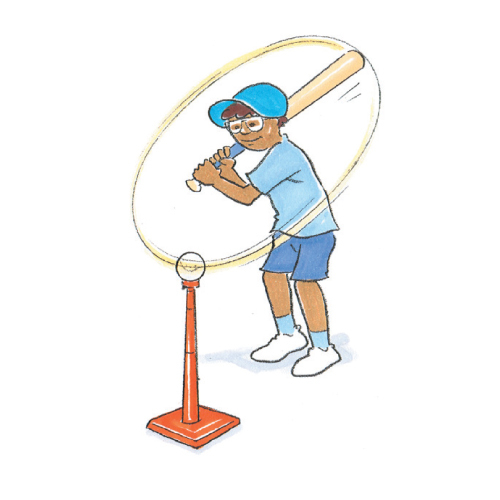 Target batting introduces the skills of striking and accuracy. It easily leads into other target sports like golf and tennis. Set up a batting tee about 3 metres in front of a wall or fence that has a target on it. Take 6 balls and see how many times a player can hit the target, batting them off a tee. Rotate with other members in the group. Score 1 point for every target hit. How do you stand to aim the ball into a gap in the field?